Peter Nijkamp is professor in regional and urban economics and in economic geography at the VU University, Amsterdam. His main research interests cover quantitative plan evaluati¬on, regional and urban modelling, multicriteria analysis, transport systems analysis, mathe¬matical systems modelling, technological innovation, entrepreneurship, environmental and resource management, and sustainable development. In the past years he has focussed his research in particular on new quantitative methods for policy analysis, as well as on spatial-behavioural analysis of economic agents. He has a broad expertise in the area of public policy, services planning, infrastructu¬re manage¬ment and environmental protection. In all these fields he has publis¬hed many books and numerous articles. He is member of editorial/advisory boards of more than 30 journals. He has been visiting professor in many universities all over the world. According to the RePec list he belongs to the top-15 of well-known economists world-wide. He is past president of the European Regional Science Association and of the Regional Science Association International. He is also fellow of the Royal Netherlands Academy of Sciences, and past vice-president of this organization. 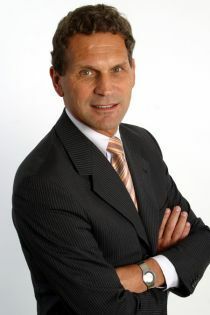 From 2002 – 2009 he has served as president of the governing board of the Netherlands Research Council (NWO). In addition, he is past president of the European Heads of Research Councils (EUROHORCs). He is also fellow of the Academia Europaea, and member of many international scientific organizations. He has acted regularly as advisor to (inter)national bodies and (local and national) governments. In 1996, he was awarded the most prestigious scientific prize in the Netherlands, the Spinoza award. At present, he is honorary university professor. Detailed information can be found on http://personal.vu.nl/p.nijkamp. Peter Nijkamp joined CReAM as an External Research Fellow in March 2014.